addressing common reactions to the skyway bridge suicide. • suicide is a private event. • the media silence is deafening. we tell potential jumpers, that unless you want your story detailed on this website, do not jump off the public conveyance known as the skyway bridge. we do not put them on this site, they voluntarily add themselves to it, by making a public event of their departure. it is our opinion that suicide should be a private affair, involving one person, in a solemn location. when someone chooses to perform their last dying act in public, they lose all expectations of privacy and decorum. when people involve many public agencies, as well as dozens of hapless witnesses and thousands of people directly affected by it, it becomes a public newsworthy event. it is open to the public and, like it or not, the public can take pictures, videos, post about it on social media, and pretty much treat it like any other public display of interest, news, and/or curiosity. people traveling across the bridge that are involuntarily cast into the event, are often stuck for hours. hundreds of cars, stretching for miles in both directions. many are fearful up there. they hate going over the bridge in the first place and are now stuck on it, perhaps freaking out. some get involved in accidents because of it. who caused all this? what was so wrong in their life, that they chose this end? what did we just see? some get traumatized by witnessing someone go over the side. they struggle with it, long after the day is done. everyone involved wants to know the who, what, when, where, how, and why. we feel they get to know all they can. it's your right to take yourself out, but perhaps make it a private affair. do your research, make a plan, tie up loose ends, and try not to make a mess. do not go on impulse! better yet, get help and fight it out. let's assume nets are bolted to the underside of the bridge, out of harm's way of passing ships. that seems feasible. so someone jumps into the net and then what, they lay there waiting for rescue, jump foiled? more likely, if they haven't injured themselves in that initial jump, what's to stop them from crawling to the edge and continuing their descent? if not, they will need to be rescued. first responders will then be tasked to pluck the suicidal from the net. will this require special equipment? a dedicated plucking crew? will they be chasing wannabe jumpers around the net system? there will no doubt be injuries from both. then roll out the lawsuits. you know how that goes, the state deliberately created a device that injures people that jump into it. hence, more lawsuit lottery winners. will the nets interfere with bridge inspections? this is seems to be the primary FDOT sticking point against some form of jumper prevention in the first place. nets would have to be placed low enough for the bridge inspection arm, yet high enough to avoid large ship traffic. the bridge has built in deterrents for birds. roosting areas are bird proofed. a netting system would likely become a high altitude aviary. they would become a dangerous nuisance, perhaps by the thousands. who will work the detail of bird prevention, removal, and filth cleanup? the bridge was aerodynamically designed without nets. it's ability to withstand hurricane force winds was not intended to include the added resistance the nets would contribute. could the bridge handle it in extreme conditions? would it be detrimental? how would it be tested? the added weight may also be a detriment. we have no idea how much weight the bridge can handle, besides all the vehicles, especially if traffic is jammed bumper to bumper across all four lanes, as can happen during jumper incidents. how many tons would the net add? would it matter? finally, the cost for installation, maintenance, and liability would be tremendous. will the taxpayers be charged or will they jack up the tolls or both? it is our opinion that if any equipment be installed as a jumper deterrent, it will be something added to the existing jersey barrier wall. something not nets. something this. 02.19.19, as we surmised, if the skyway were to be fit with nets like this, suicidals would be jumping into possible injury, then rescue, or perhaps, crawling to the edge and over they go once more. it's likely that the nets will collect garbage and bird debris. 01.09.19: skyway net satire. warning - adult language. someone jumps and naturally, people demand that something be done. then other people encourage that nothing should be done, as people will find other ways to take themselves out, if that is truly their ultimate goal. while that may be true, like it or not, it is customary and natural for fellow humans to try and stop those that wish to end their own lives. the skyway suicide is not your typical suicide. it's totally public. it affects a large amount of people. it involves many first responders, some of whom get injured during rescue and recovery. it disrupts more lives than most other suicides. it's extremely visual and hangs like a dark cloud over the bay area, far more than your private suicide. it creates a dangerous bridge condition and severe traffic problems for thousands. it is a very costly venture, when the taxpayers foot the bill for such a turnout of personnel and equipment, time and time again. suicide will never go away, until all humans have gone away. there will always be suicide, and for the suicidal, we feel it's their choice and their right, regardless why they wish to end themselves. just end the very public skyway bridge variety and be done with it. keep in mind that the expanse of the bridge in the 'jump zone' is up to 1800 feet on each side of the bridge. that's up to 3600' of jumper volunteer opportunity. to have people standing guard 24/7 in these 'jump zones', would require many people, staged in several areas, in multiple shifts throughout the 24 hour day, 365 days a year. they would have to stay within the less than one lane wide center median, amongst the yellow support cables. the logistics would create it's own hazards, along with a likely constant traffic jam, due to all this visual presence. there is just not enough room up there for an army of volunteers. some form of structures would need to be constructed, to shelter these volunteers from the elements. there is very little vacant real estate up there, so where would they be built? who would pay for them? where do the volunteers park? how would they be shuttled? how would these volunteers be vetted? what qualifications would they need, in order to be a skyway jumper volunteer? will they be required to have crisis intervention certification? surely you can't have average jane and joe citizen up there, with zero crisis intervention education, running up on someone clinging to the edge. will they be able to muster squads of these volunteers, ready to work constant shifts for free? for pay? there would also be a dangerous situation created, when the volunteers would attempt to quickly navigate across two lanes of interstate traffic, 'frogger' style, trying to get to a potential jumper in time. who would pay if and when something goes afoul, like causing an accident or getting hit? what happens when the family accuses a volunteer for not doing enough, doing too much, or perhaps, actually causing their loved one to jump, because they approached the suicidal and they "were forced to step off the bridge!" or "were pushed off!"? who would assume the liability? who would cover the insurance? who would pay the costs? we're not trying to be a debbie downer, but it's really not an option. besides, the skyway is part of the interstate highway system and pedestrian traffic is just not permitted. in our opinion, unless they erect some form of physical barrier, stopping jumpers on the skyway will continue to be a hit or miss proposition, lead mostly by professional first responders and the occasional random bridge traveler. obviously, no room amongst the cables. can't build anything at the very center, where the majority of jumpers exit. not much room around the towers. maybe people can hang out in that pit area. perhaps a volunteer kiosk, right near that first yellow cable. something could be built here, but it's far away from the common jump points. why didn't you stop and help? few stop, most don't. why not? people generally have good intentions and do want to help those in distress, but the bridge offers obvious dangers. so let's digest this. they are driving about 50-65mph or more and come across a suicidal person or perhaps, someone with car issues, stopped at the top of the bridge. it could be at night. maybe they are driving in the left lane and are surrounded by traffic. there's the smallish emergency strip they could pull into, but now they're quickly past the scene. do they risk pulling over several lanes? then what, back up against the flow or get out and run back? what if they cause an accident? what if they get hit? besides, what did they just pass anyway? was it car trouble? could the person be dangerous? it's a very surreal moment, with a lot of mental input, and they have just a few seconds to decide what to do. many people fear the bridge entirely, much less dealing with a stranger, on the edge, next to a short retaining wall, 200 feet above oblivion, especially at night. the idea of getting pulled along for the ride is too daunting a thought. besides, are they mentally prepared to confront someone, wishing to end their life? are they ready to possibly watch someone disappear over the edge? apparently, it's easy for some to make a decision, hours later, at home, from the comfort of their computer chair or looking at the phone, typing their disparaging remarks on the facebooks. it's not something that readily comes to mind, when one is suddenly and involuntarily cast as an extra, in someone's last act performance. we believe that's why you rarely hear about bridge travelers becoming amateur first responders, with random people out and about up on the skyway. check out the streetview and imagine jumper chaos up there. no doubt, many that do pass by jumper scenes, later wish they did pull over to help, once they had some time to mull over just what happened. perhaps just one more, in a long list of 'coulda, shoulda, woulda' moments in their lives. have you been on the bridge during a jump event? did you stop? if so, what happened? if not, do you wish you had? how do you feel about it now? did you used to think, "if given the chance, i would stop and help", but when given the chance, you didn't? care to tell your story? it could help others that have stressed over the same thing. it's ok, there will be no judging. the media silence is deafening. as we mentioned on 01.13.19, it's great when someone is able to get to a person, poised on the bridge, ready to jump, and prevents yet another jumper. it's also good to see the media report the incident. many news venues tend to pick up the 'save' stories to report the win. sadly, they do not report the ones that got away. it's akin to going overboard in reporting the win of a local sports team with the 1-12 record. the big picture is hidden behind the silence of the losses, hiding them as if they never happened. in our opinion, reporting the losses would perhaps get more done to stop them. it makes us believe the media is perhaps maybe slightly possibly dishonest. we have turned down many requests for interviews, due to the couple times we were lied to and misrepresented. they seemed more interested in taking us down. 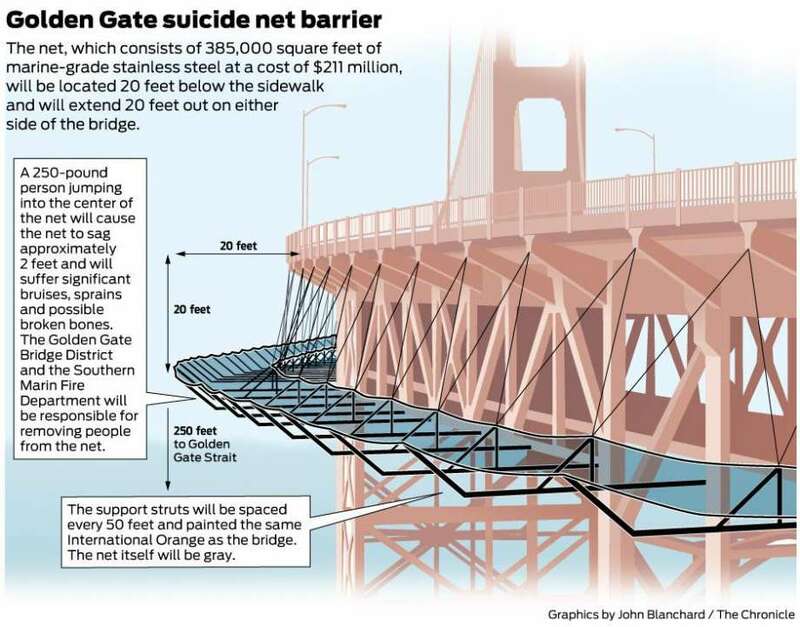 when they do report on the suicide situation on the bridge, they often clearly use facts and stats from this website, yet fail to mention us as the source. that's ok.
as is quite evident through the years lately, people's trust in the media continues to tank. instead of reporting news, it's more focused on reporting opinion and agenda. we the people must search for truth and facts, all the while filtering out disingenuous propaganda, conjecture, opinion as fact, outright fiction, political agenda, and wishful thinking. pretty sad. all statements made on this page are the thoughts and opinions of skywaybridge.com, based on as many facts and common sense as we could muster. please remember, facts do not care about your feelings. simply wanting something, does not mean it can be done. we are more than willing to change our outlook with further data and debate. if you wish to contribute to these discussions, please do. visit 'why skywaybridge.com' to learn more about what we think and why we do this.